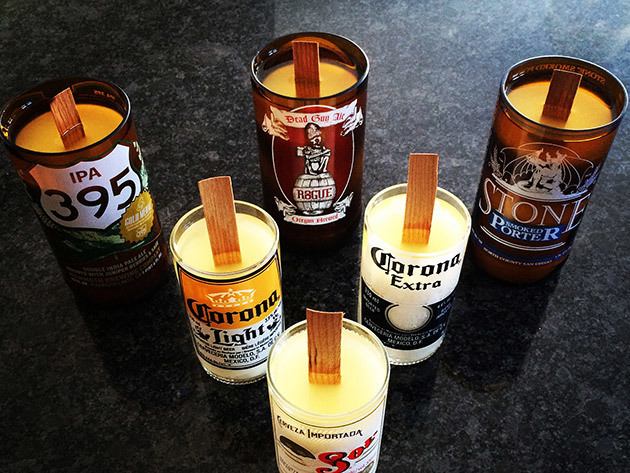 Instead of throwing out all the empties after your next party, why not transform them into some new DIY glassware? Cut back on waste and add some home ambiance with the Kinkajou Bottle Cutter and Candle Making Kit. The Kinkajou is designed as a clamp-on scoring blade to make precise cuts. Just slide a bottle in, tighten the grips, and rotate slowly to cut a straight lip line. Then, just carefully pour hot and cold water along your line to cleanly remove the bottleneck and prepare for finishing. With the included wicks and soy wax, you can easily turn the new glasses into charming candles that are perfect for gifts or sprucing up your home. For a limited time, get the Kinkajou Bottle Cutting and Candle Making Kit for just $59.99, 31% off the usual price.